The power and value of a name have been immortalized in poetry, prose, and religious ceremony. But did you know that the first letter of a name can influence a person’s character? Yes, you read that right. The initial brings with itself characteristic traits that can impact the bearer significantly. 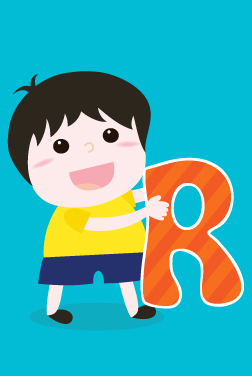 Below we’ll tell you the hidden meaning of the letter R.
The letter R in alphabet represents wisdom, tolerance, and humanity. These people have a great strength of character as well as idealism, intuition, and compassion. They even have a great deal of warmth and affection for their friends and family. The vibration of nine, the number associated with R, is of healer and educator. These people are benevolent, charitable, and have a sympathetic understanding of underprivileged people. So your child will work hard for the betterment of the society as a whole, not just himself. On the downside, R boys are very short tempered. So you may have a tough time dealing with your boy’s tantrum. They even tend to become stressed and tensed while solving other’ problems. Now it’s time to check out the names. Whether you’re a lover of Latin names such as Rafael or prefer traditional British names such as Richard, you’ll find them all in MomJunction's list below.